Race, Gender, Violence, and Performed Identities: Tonight at Indigo Bridge Books with Julie Iromuanya! If you’re in Lincoln tonight and free for the evening, come out to Indigo Bridge Books (701 P Street, in the Creamery Building) at 7pm to hear me read from my chapbook, On the River, Down Where They Found Willy Brown. I’ll be opening for Julie Iromuanya, who will read from her debut novel from Coffee House Press, Mr. and Mrs. Doctor, with a joint Q&A session to follow. It will be fun and should produce some good discussion. The event is titled Race, Gender, Violence, and Performed Identities. 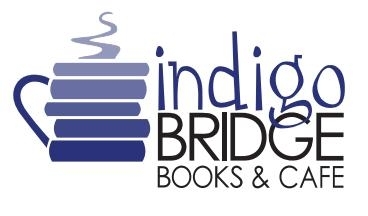 Indigo Bridge Books and their event guru Jeff Moscaritolo have been amazing to work with, both for this event and in their stocking and display of my chapbook in the store. Lincoln is lucky to have such an awesome independent bookshop with the means and spirit to support writers like this, something that was desperately lacking when I grew up there. And while we’re at it: Happy Book Birthday, Julie! Mr. and Mrs. 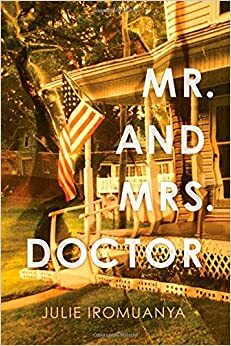 Doctor features the story of Ifi and Job, a Nigerian couple in an arranged marriage, who begin their lives together in Nebraska with a single, outrageous lie: that Job is a doctor, not a college dropout. Unwittingly, Ifi becomes his co-conspirator—that is until his first wife, Cheryl, whom he married for a green card years ago, reenters the picture and upsets Job’s tenuous balancing act. Julie Iromuanya is a writer, scholar, and educator. Born and raised in the American Midwest, she is the daughter of Igbo Nigerian immigrants. Her creative writing has appeared in The Kenyon Review, Passages North, Cream City Review, and the Tampa Review, among other journals. She earned her M.A. and Ph.D. at the University of Nebraska-Lincoln where she was a Presidential Fellow and award-winning teacher. Learn more about Julie at her website: julieiromuanya.com.